Last week I suggested some pricey gifts for wine and cocktail lovers. But if you’re on a tighter budget or if you’re just looking for a basic hostess gift, this post is for you. Happy gifting! I know I’m a broken record on the subject of EWSBR, but seriously, it’s unbelievable for the price — spirits reviewers consistently give it 90+ points. If you’re on a budget and need a gift-worthy bourbon, this is the one. If you’ve got a cocktail-mixing friend but can’t drop $50+ on Crème de Violette, pick up a few bottles of bitters. They generally won’t set you back more than $15 apiece (usually less), and any cocktail lover will be thrilled to experiment with orange bitters, lavender bitters, or grapefruit bitters. Back when I was living in Canada, I bought these glasses so I’d have something to mix Cosmos and Manhattans in. I loved them. Our stemless Boston glasses, while cute, just don’t compare to the elegance of a stemmed martini glass. Any cocktail lover who’s just starting her home bar will get a lot of use out of these basic, classy glasses. Have I told you how annoying it is to use the handle of a wooden spoon to muddle mint and lemons for a whiskey smash, or limes for a mojito? No? Well, it’s really annoying. A skinny handle is a very inefficient smasher. I would love a proper cocktail muddler and if you’ve got a cocktail mixer in your life, I bet she would too. But: make sure it’s lacquer-free. A lacquered wooden cocktail muddler will look all shiny and pretty in the store, but after it’s smashed a few lemons and limes the acid will start to make the lacquer chip. Lacquer-free. Trust me on this. No one wants floating lacquer chips in a mojito. Yes, I know I just suggested this vintage last week. I’m suggesting it here again because the 2010 vintage was so good, it will be worth gifting at $10-25 a bottle as well as at $50+ a bottle. Need a hostess gift for a cocktail party? Here you go. This is one of those occasions when vintage matters. Some 2011 Côtes du Rhônes are starting to hit the shelves and I’ve been disappointed by them. So make sure you’re grabbing a 2010! Looking for a special gift for the wine or cocktail lover in your life? Have I got the blog entry for you! The whisk(e)ys and wine in this post are going to be pricier than my usual suggestions. Out of your budget? Not to worry: next week I’ll be writing up five gifts for under $25! These bourbons are widely regarded as some of the best in the country. Only problem: they’re expensive and hard to find. A possible alternative is a William Larue Weller bourbon, which are similar in formula (both use wheat, not rye, as the secondary grain), also incredibly well-reviewed, and somewhat less expensive. If you can’t track those down either, no bourbon lover will turn up her nose at Eagle Rare or Booker’s. It’s hard to pick a favorite Scotch distillery, but Balvenie might just be mine. Their 21-year-old Portwood is so smooth and intense that I think any whisky drinker would love it; however, Balvenie’s 12-year old Doublewood gives amazing bang for the buck and is therefore the better buy unless you really want to impress someone with an expensive bottle. Neither of these is very peaty, so if your Scotch lover’s bar is stocked with Laphroiag and Lagavullin, keep reading. This small island off the coast of Scotland is known for its intense, smoky, peaty whiskys. This isn’t my particular area of expertise, so if you’re on the lookout for a super-peaty Scotch, I suggest heading to a liquor store and asking the sales staff for their Islay recommendations. Alternately, would any of my smoky-Scotch-loving colleagues like to weigh in? This is a fairly rare ingredient and may require some hunting, but your cocktail-mixing loved one will be thrilled — thrilled enough, one hopes, that an Aviation or a Violette Gin Fizz will be coming your way. If you can’t find a Violette, St. Germain Elderflower Liqueur is a good backup option. Plus, pretty bottle! I take back every mean thing I ever said about vodka being a lame, boring spirit, guys. This Bully Boy vodka is awesome — smooth, delicious, with just a hint of sweetness and white papper. I sip it straight over ice, no joke. Plus, it’s under $30! It has fairly limited distribution right now but it’s worth seeking out if you’re on the East Coast. Really, anything from this excellent and affordable small-batch distillery would be a winner. In particular, Bully Boy’s white rum would be a great gift for someone who loves mojitos. I’m also looking forward to trying their new American Whiskey. This high-proof version of Plymouth (my personal favorite gin) only became available in the US in September. That makes it the perfect gift for the gin lover in your life, since she’s unlikely to have it on hand yet. Prefer a small-distillery US gin? Lauren from Suburbalicious suggests Leopold’s gin. Jacqueline from The Hourglass Files loves Bilberry Black Hearts organic gin. Trisha from Bored with the Internet recommends Barr Hill Gin from Vermont’s Caledonia Spirits. Finally, Liz from Happy Sighs gave rave reviews to Bluecoat gin from Philadelphia. I am not normally a Chardonnay lover (insert standard complaints about over-oaking and lack of balance here), so you can trust me when I say that this wine is phenomenal. The Ten Acre Green Acre Hills Chardonnay tastes like liquid happiness. It’s got green apple, fresh pears, a hint of honey, great acidity, and that smooth round mouthfeel you only get with good Chardonnay. At $48 a bottle it’s pricey but I promise your favorite wine snob will love it. The 2010 vintage of Côtes du Rhône wines is already near-legendary — it was such a good year that even low-end Côtes du Rhône wines became something special. If the wine lover in your life hates white wine, it will be hard to go wrong with a high-end 2010 Côtes du Rhône red. 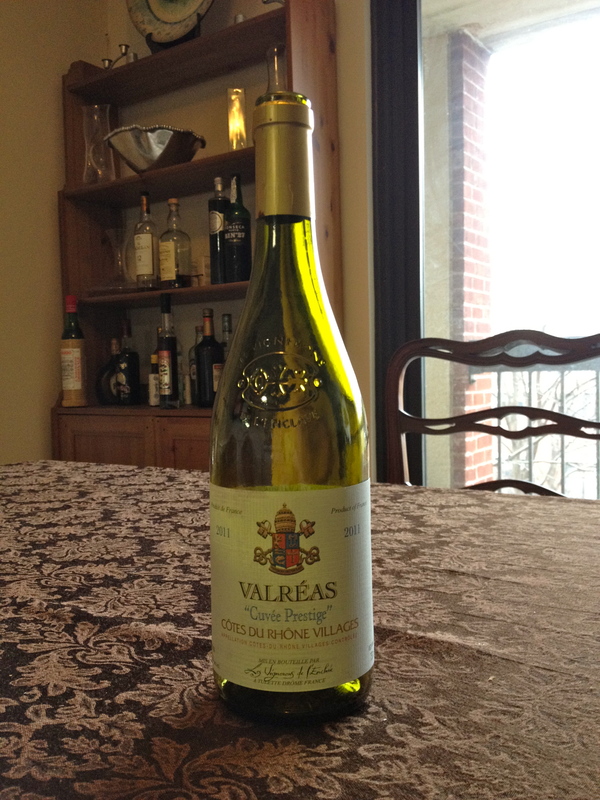 Last year I tried and loved the 2010 Valréas Côtes du Rhône, a great bargain buy for just $6.50 a bottle. The last time I was at Trader Joe’s, however, they had switched over to the 2011. So how does the new vintage stack up? … well, it kind of doesn’t. In fairness, 2010 was apparently an amazing year in the Côtes du Rhône, so perhaps a drop-off was inevitable. But I think you’ll find Italian reds or even other Côtes du Rhône more satisfying TJ’s buys than the Valréas this fall. PS — TJ’s fans, keep your eyes peeled for the 2010 Pontificis Red, a recent Jason’s Wine Blog recommendation. Jason rated it a rare Bulk Buy. Welcome to the last post in my Trader Joe’s series! 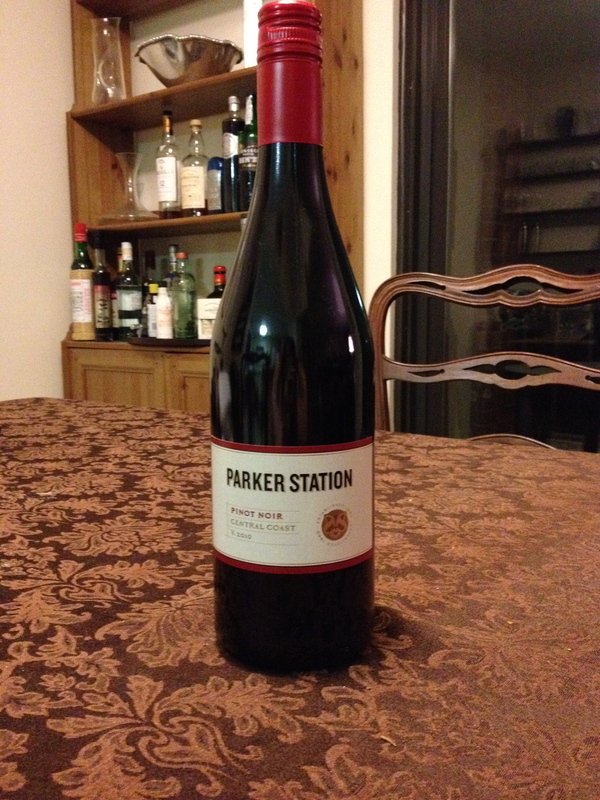 Our twelfth bottle is the 2010 Parker Station Central Coast Pinot Noir, available for $8.99 in Massachusetts. A while back I read an article by Robert Dwyer at the Wellesley Wine Press titled “Syrah: The Steroids of the Pinot Noir World,” about winemakers adding Syrah to Pinots to intensify their flavor and body. That title definitely came to mind as I was drinking the Parker Station. It’s a full-bodied, fruit-forward wine that tastes like it probably has a healthy dollop of Syrah in there. I thought it was pleasant, but if you’re looking for a round, fruity red, I personally preferred the Goats in Villages that I reviewed last week. Trader Joe’s is probably best-known for its exclusive labels like Charles Shaw (aka Two-Buck Chuck), but I’ve found that my local TJ’s carries excellent nationally-distributed brands of wine as well. When we picked up our mixed case, I couldn’t resist grabbing a red and a white from South African label Goats do Roam. 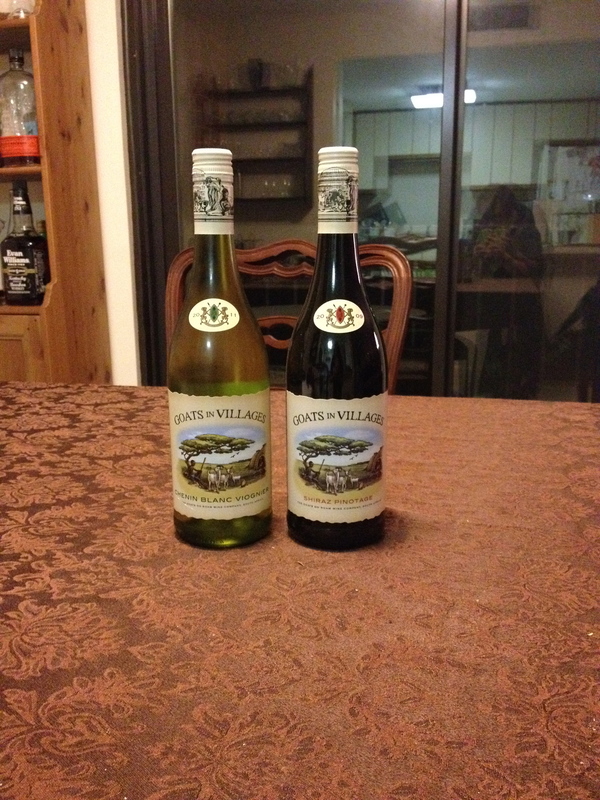 The Goats in Villages 2011 Chenin Blanc-Viognier and 2009 Shiraz-Pinotage both retail at $7.99 in Massachusetts. I liked both of these wines a lot. The Chenin Blanc-Viognier has great vegetal and floral qualities — it’s a crisp, refreshing white that’s a fun contrast to fruitier New Zealand Sauvignon Blancs or dry Rieslings. The Shiraz-Pinotage is just an all-around great bargain red. It’s lush, it’s fruity without being syrupy, and it’s a perfect sipping red for a fall afternoon. Back to the Trader Joe’s mixed case! This week we uncorked the 8th and 9th bottles. 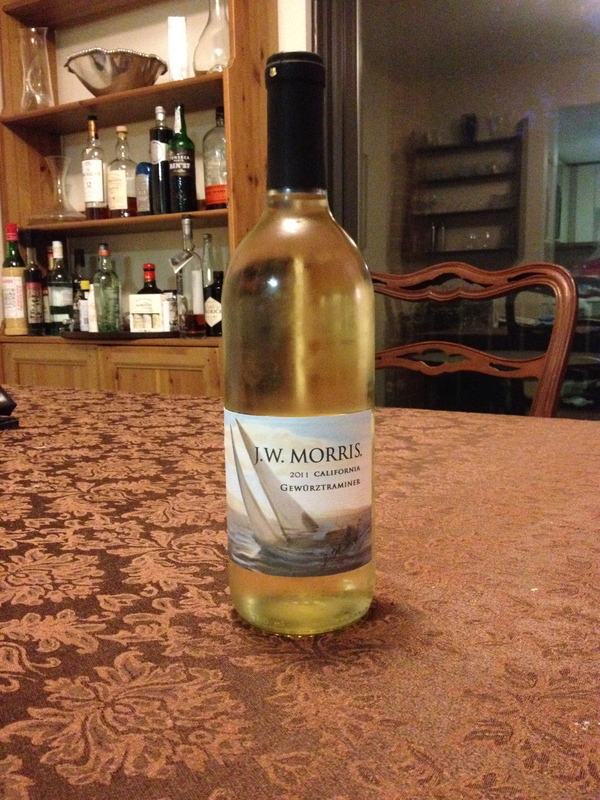 First up, the 2011 JW Morris Gewürztraminer, for $4 a bottle. 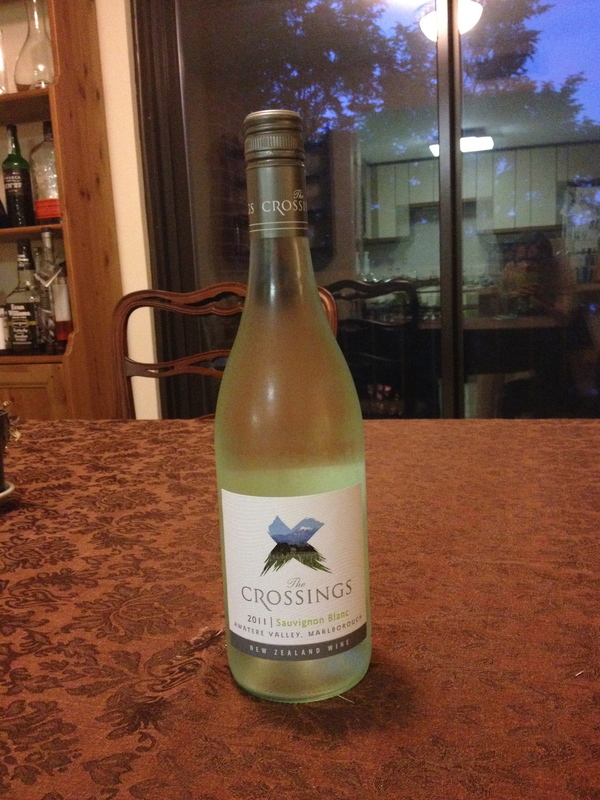 I wasn’t sure what to expect from a $4 Gewürz, but my husband and I both enjoyed this wine a lot. That said, it was more like a Riesling than a typical Gewürztraminer — it had good acidity but also quite a bit of juicy sweetness and it lacked that spicy, floral quality I associate with Gewürztraminer. It won’t become my go-to Gewürztraminer when I’m craving one, but I can definitely see myself grabbing another bottle if we’re making curry or ordering Indian take-out. It’s a great spicy-foods wine. 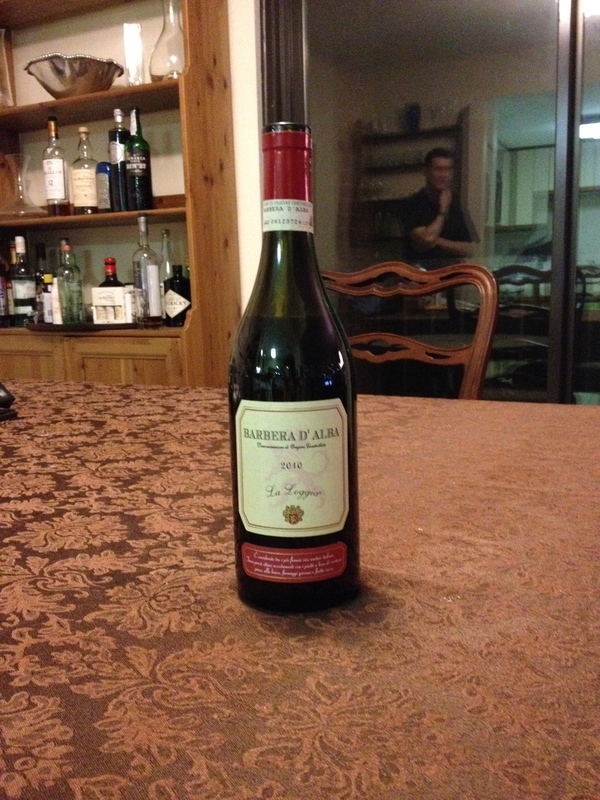 Next up, an Italian red: the 2010 La Loggia Barbera D’Alba, for $7 a bottle. The nose on this wine intrigued me right away — wet soil and a bit of mushroomy funk. The wine itself was very earthy, with strong tobacco notes on the palate, combined with some dark cherry. I enjoyed drinking it but I probably wouldn’t buy another bottle until the fall, and only if I found something good to pair it with. This wine was a bit too dark and assertive for our homemade pizza. I might try it again with roast lamb or braised meat. Rating: Buy a bottle — but only if you enjoy super-earthy wines. The Trader Joe’s fun continues! 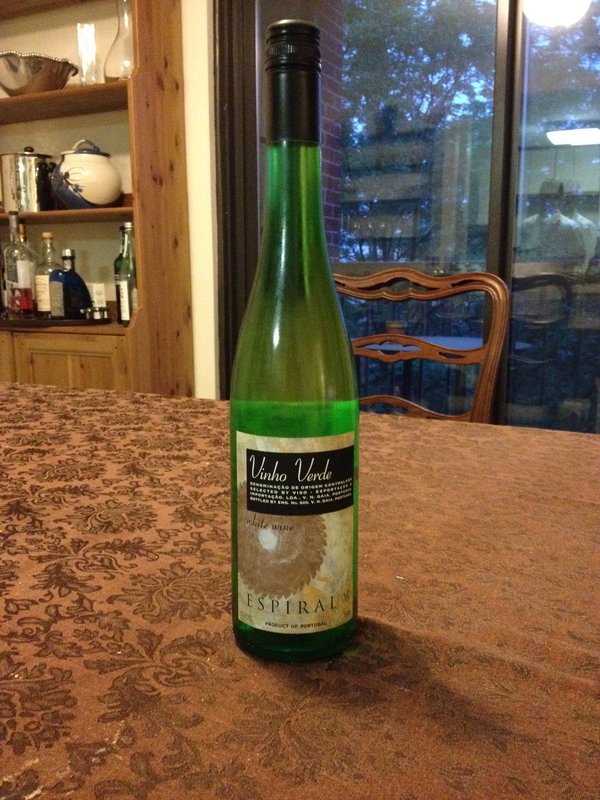 A few old favorites made their way into our case of mixed wine from Trader Joe’s and I’m very happy to report that the Espiral vino verde remains a great buy at $3.99. (For those who haven’t tried vinho verde before, it’s a Portugese white wine with a slight fizz to it.) It’s a hair more acidic on the finish than I might like, but overall it’s refreshing and low in alcohol — a perfect match for fish, Indian, or Thai dishes. This wine is slightly more acidic than some of my other favorite NZSBs (notably, Nobilo), but it’s clean and vibrant and very drinkable. It goes well with spicy food that has a bit of fat to cut the acidity — think a fiery Tex-Mex dish topped with cheese, or perhaps a bold Thai curry made with coconut milk. 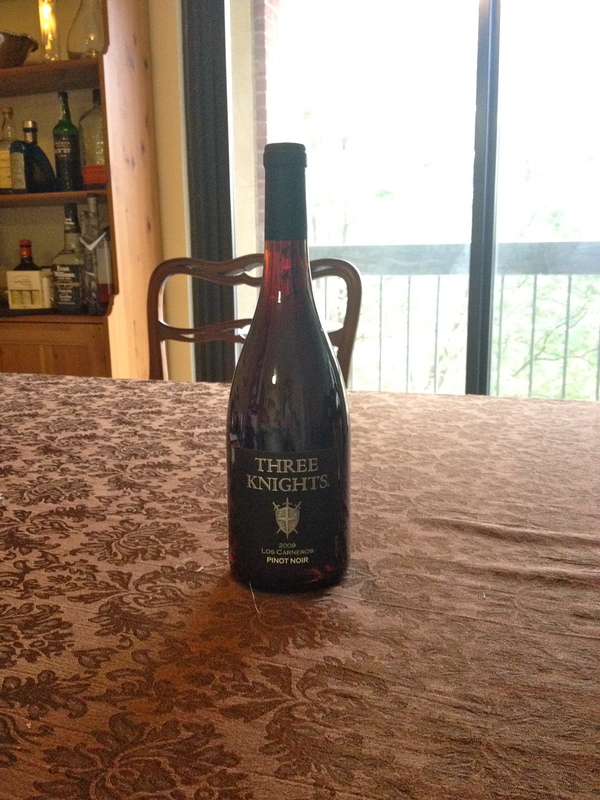 Finally, this week’s roundup includes the 2009 Three Knights Los Carneros Pinot Noir, for $8.99 a bottle. I haven’t had great Pinot Noir luck at Trader Joe’s. I’ve tried some bottles that were flat and flavorless, and at least one that was downright unpleasant to drink — it tasted artificial and syrupy. The Three Knights, happily, was one was one of the better ones I’ve tried. It’s a warm, earthy wine, somewhat rougher around the edges than the lighter, smoother, fruitier Pinot Noirs that I count as my favorites, but at $9 it’s a solid buy, especially if you (like a lot of people) actually prefer the earthy Pinots.